Last Saturday we took a short break in the weather to go out for a few hours, to shake off the cobwebs and warm the engines after their annual overhaul. Fishing was slow due to weather but all enjoyed the afternoon. Storms are with us here on the west coast again but it’s the time of the year for them. Over the weekend I have had a few calls and booking for the coming year ! If you are thinking of travelling to Dingle give me a call 087 2213900, if you need to book a few rooms for your stay I have good deals from B&B’s in town and from the hotels. Our ‘catch & cook’ is going ahead again with an addition to the group ! 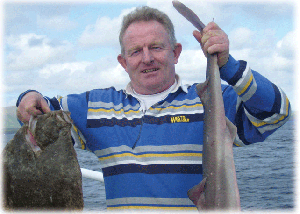 I have a few new ideas for the year including deep trolling using my electric downriggers, Shark and Tuna fishing, so while you are waiting and rigging your favourite gear contact me at deepseadingle@gmail.com or ring Rory on 087 2213900 to make a booking. Beginners, young anglers will get a good grind during the trip, remember we have all the gear aboard. 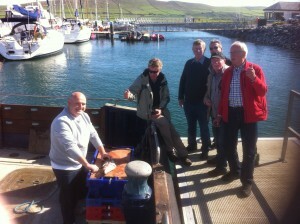 Cost; Full day charter €500 max 12 fishers. Half day €300 max 12 anglers. 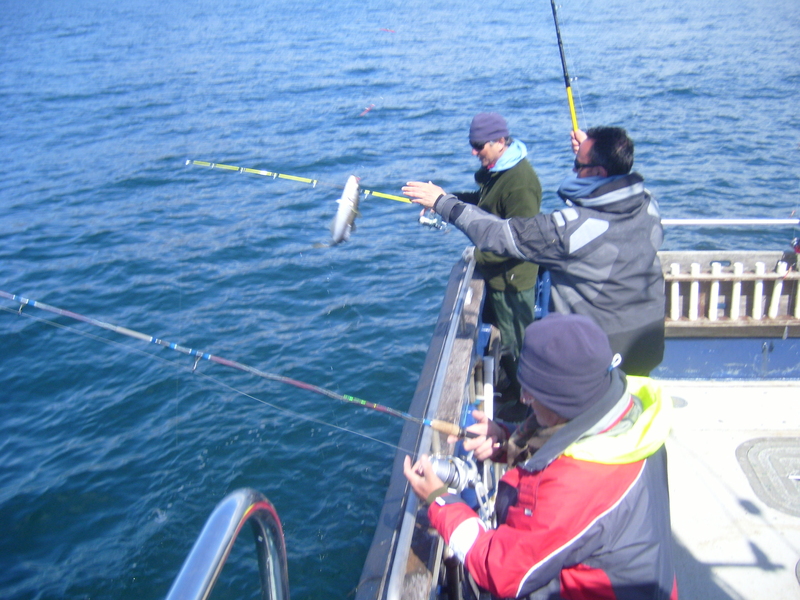 Regular price €70 pp joining others €60 per person, this includes the rods.